At Meike’s Guesthouse, we go out of our way to make your stay in Swakopmund memorable. 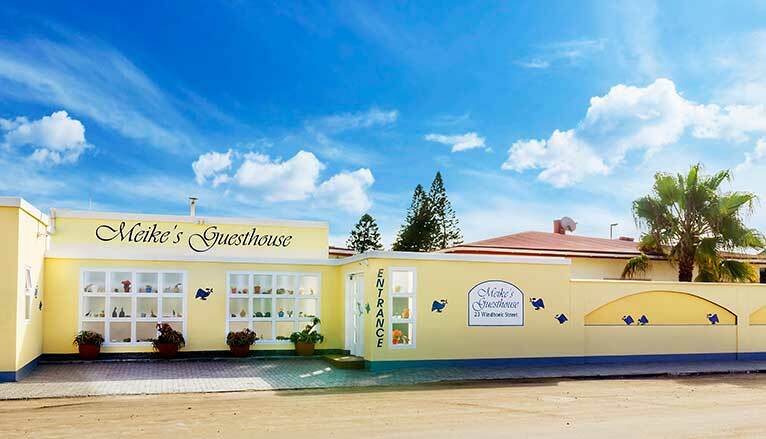 We pride ourselves to be part of one of Swakopmund’s oldest and most renowned guesthouses. 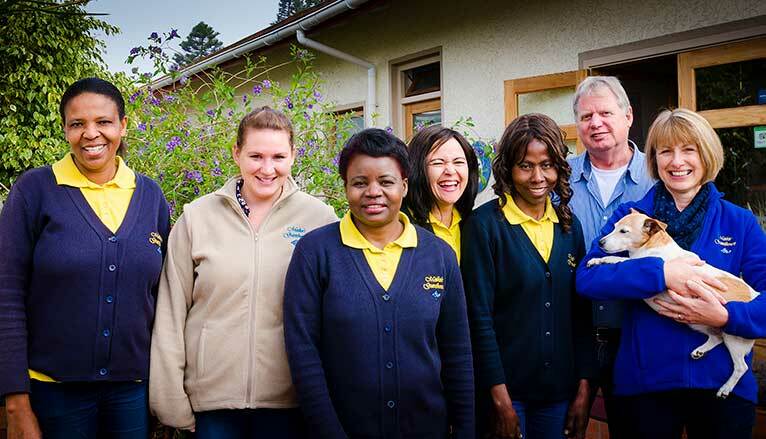 Each staff member does their part, whether it is ensuring the crisp bedding is folded immaculately, the garden is tended to with care, the cars and sleeping guests are protected or the guests are welcomed with a genuine, warm smile. Meike’s Guesthouse runs through love for people, care for detail and attention to individual needs. We hope, that we can welcome you to our establishment – so that we can add to your unforgettable stay in Namibia. Namibia’s vast distances, the colours, the rich flora and fauna, the silence and the tranquillity, as well as the friendliness amongst all the different cultures nudged us to take the step to leave Germany and move to Namibia. Initially, we were tenants on a farm close to the Naukluft mountains and in 2001 we moved to Swakopmund. Here, we opened Meike’s Guesthouse and still today, we personally run and oversee it. Namibia has gently settled into our hearts and we are lucky and blessed to be able to call it home. 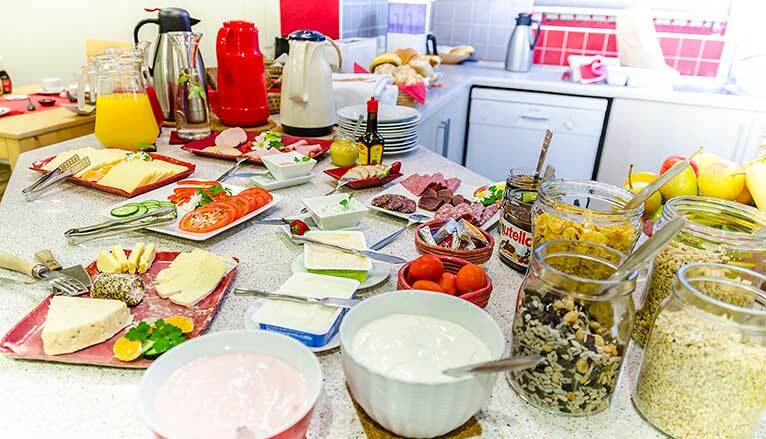 Meike’s Guesthouse is famous for its continental-style breakfast buffet, served between 7:15 and 9:00am. Fresh rolls and an assortment of breads are delivered from the bakery every morning. Fruit platters, cut and prepared just before the breakfast room opens, accompany a wide selection of cold meats, cheeses, vegetables, boiled eggs, cereals and spreads welcome each guest every morning. Home-made jams and marmalades, as well as butter are set on each table. An endless supply of good, strong coffee, a selection of teas and juice are on offer. The effort in presentation gives breakfast at Meike’s Guesthouse the extra touch, making it an unforgettable, delicious experience. 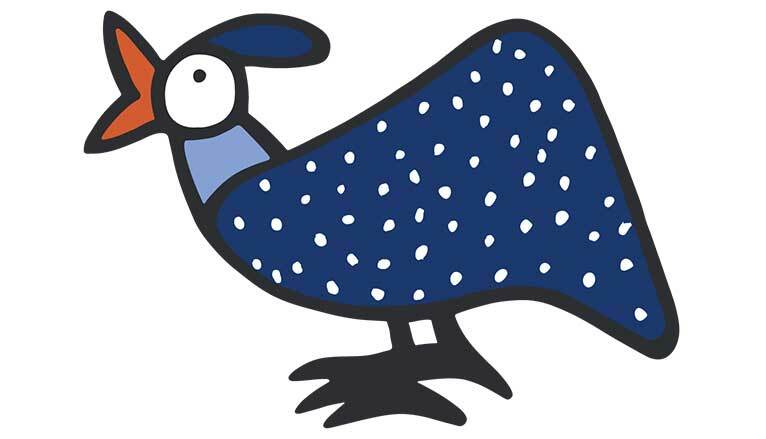 When Meike’s Guesthouse first opened its doors more than 17 years ago, the guineafowl came on the scene when it became the official logo. Since then, guineafowls have taken over and can be found in the form of pictures, clay statues, wire animals and more throughout the establishment. There are so many guineafowls (in all shapes and sizes, except real ones!) spread throughout the property, that nobody knows anymore how many there really are!